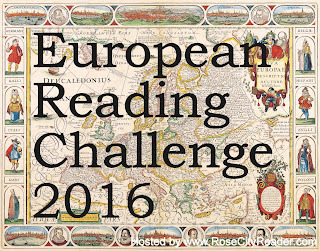 The European Reading Challenge is hosted by Rose City Reader, the requirement of the challenge being that you read books either by a European author or set in a European country. In 2015, I read 8 books for the challenge. I am signing up for the challenge once again in 2016. You can find the details over here. You did some fantastic reading, Neeru! I like the fact that your reading includes books set in different parts of Europe, too. Thanks Margot. I love reading books in translation. Welcome back for 2016! Your books look great! Les Miserables has been a goal of mine for a long time but I never seem to turn my attention to it. I should. That is impressive, Neer. Congratulations! I plan to read "Les Miserables" as soon as I can, or am in the mood for some classics. Thanks Prashant. I hope you get the time to read Les Miserable soon. I don't know if you linked this post (now that you are done) to the wrap up page (http://www.rosecityreader.com/2015/12/2016-european-reading-challenge-wrap-up.html). If you did, thank you and I apologize. I had a problem and lost all the links. Please visit the page again and re-link your post. If you had not posted your link on the wrap up page, please do! This was last year's. I hope to write a wrap-up for this year soon. thanks for hosting the challenge year after year.